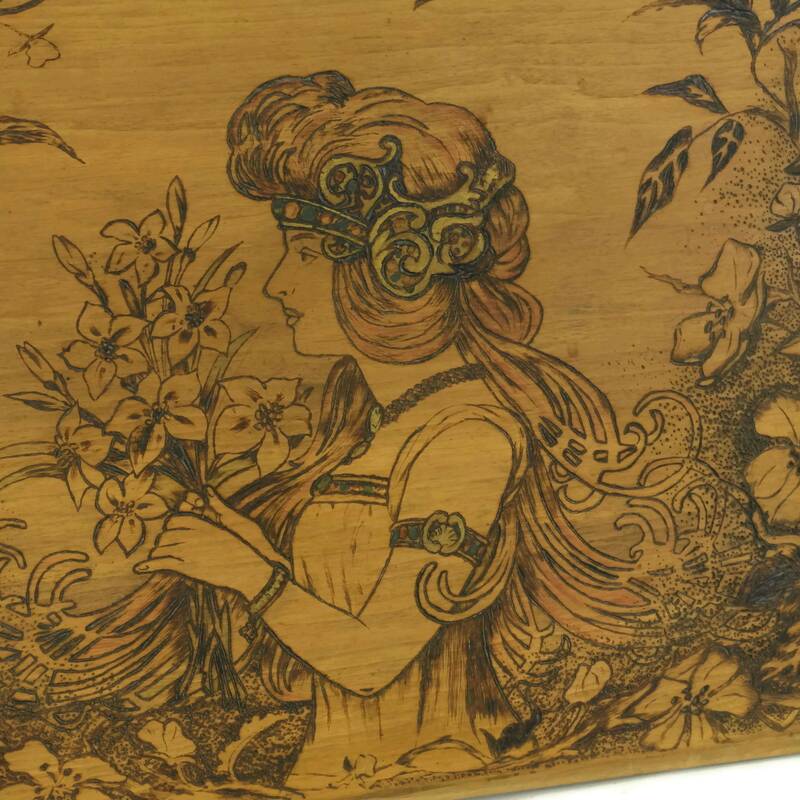 A beautiful Belle Epoque woman portrait from the early 1900s. 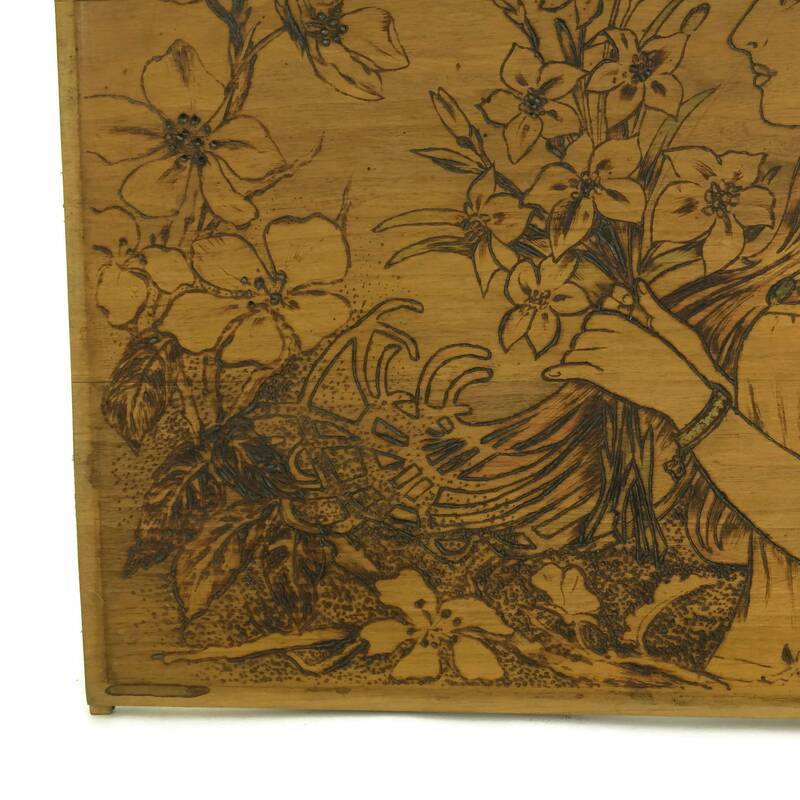 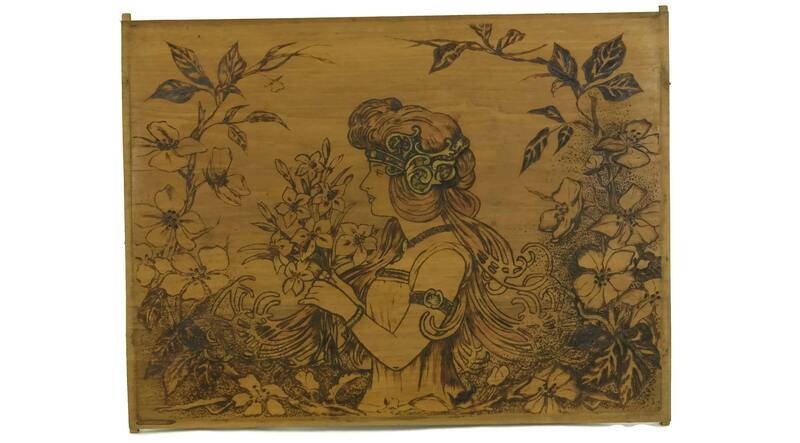 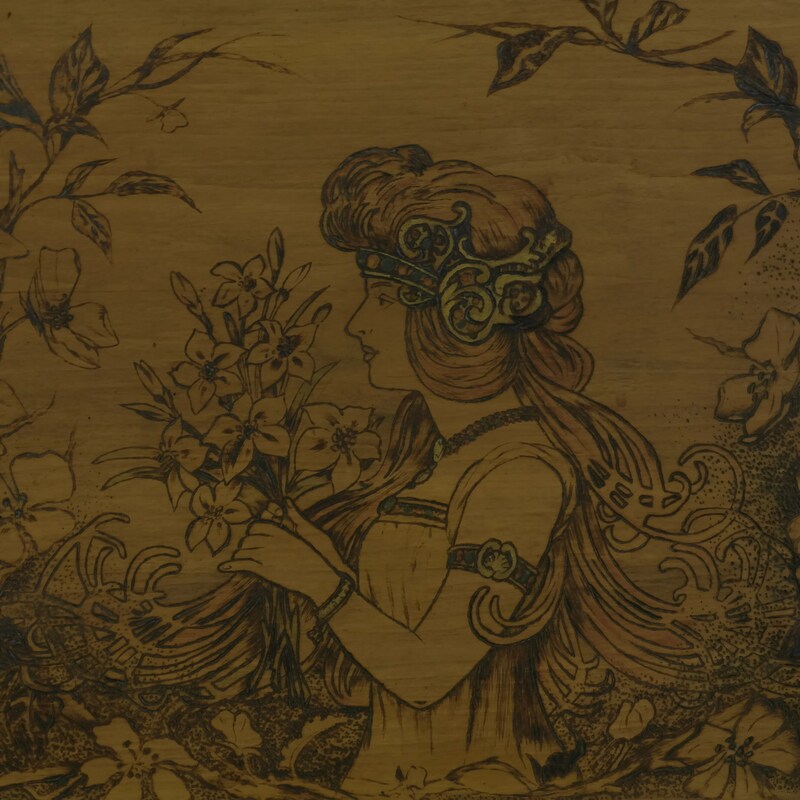 The Art Nouveau wall hanging has been hand engraved on a wood panel using the technique of pyrography where the image is burned into the wood. 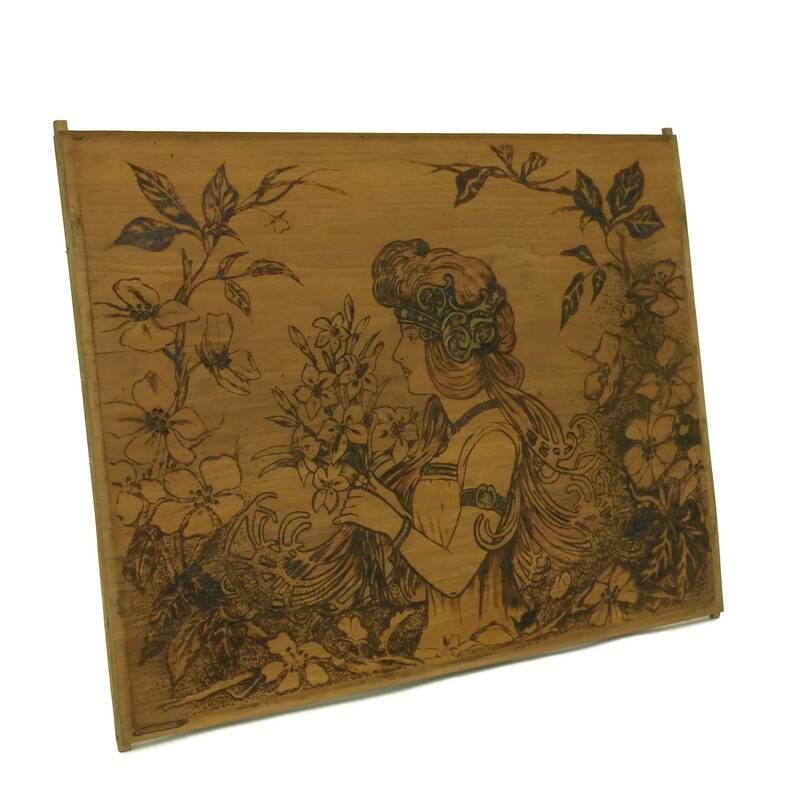 The antique French portrait features the profile view of a beautiful woman in the Belle Epoque style. 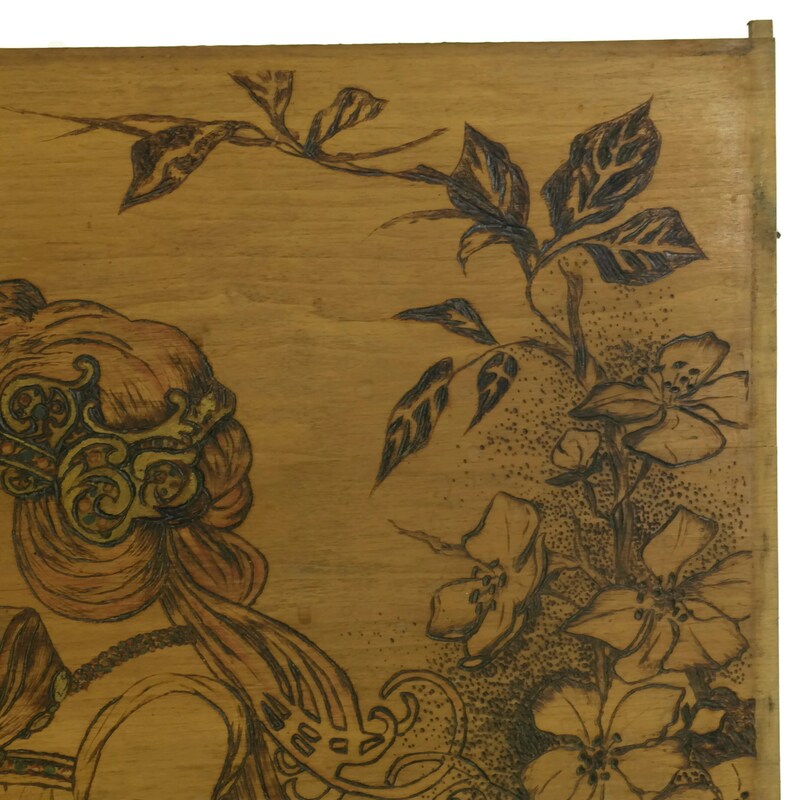 She is framed by flowers and wears an ornate headdress and jewels which have been hand colored in shades of blue and gold. 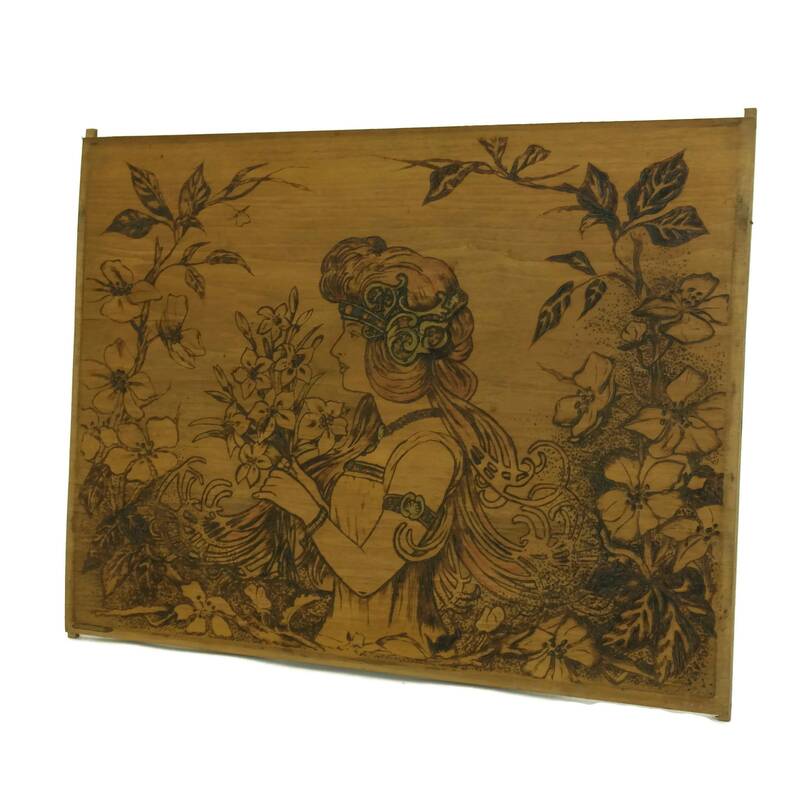 The art wall hanging is unsigned by the artist. 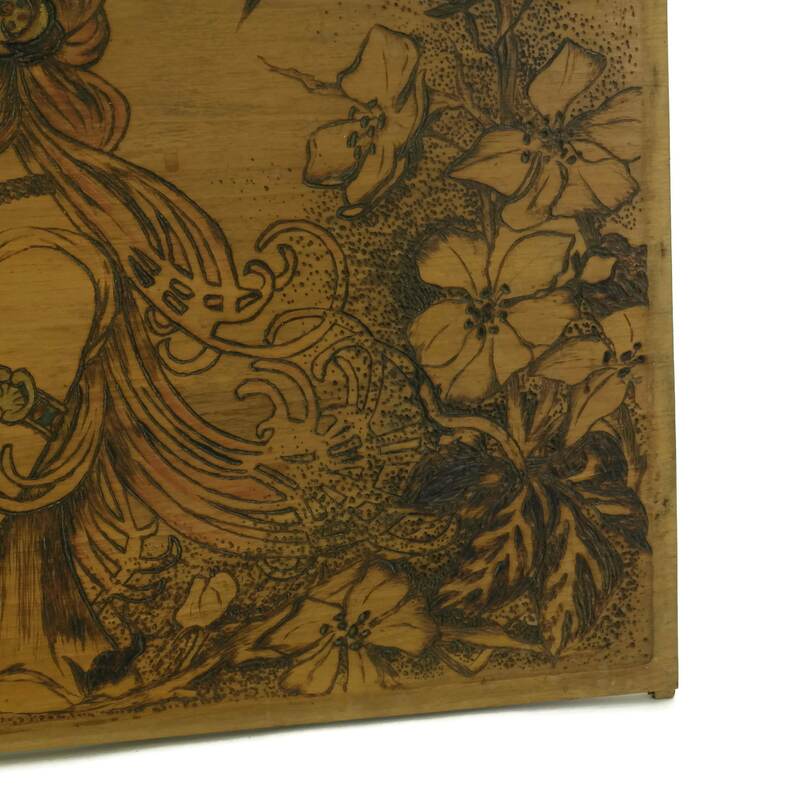 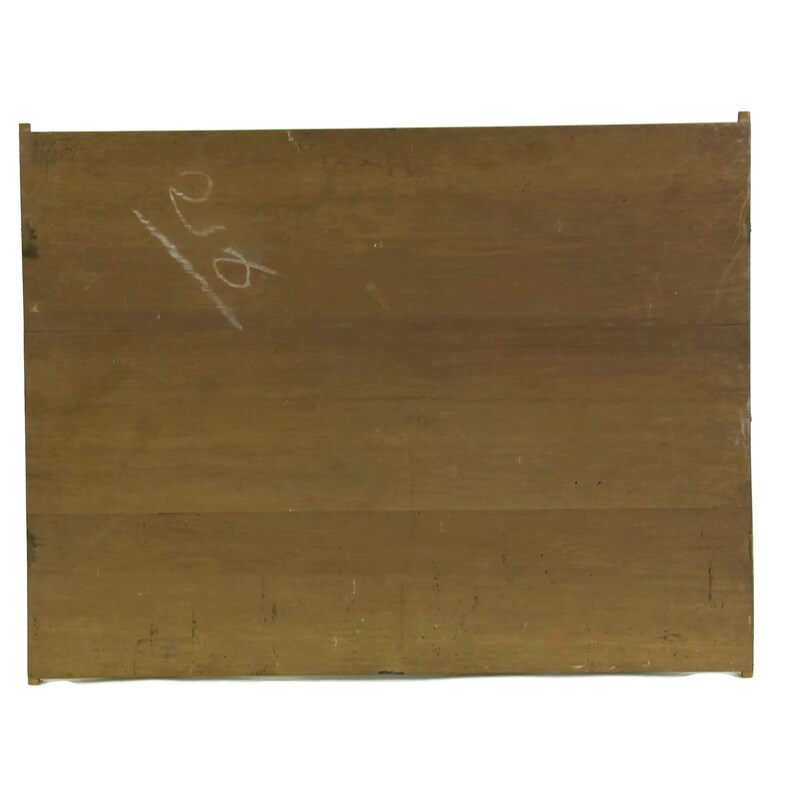 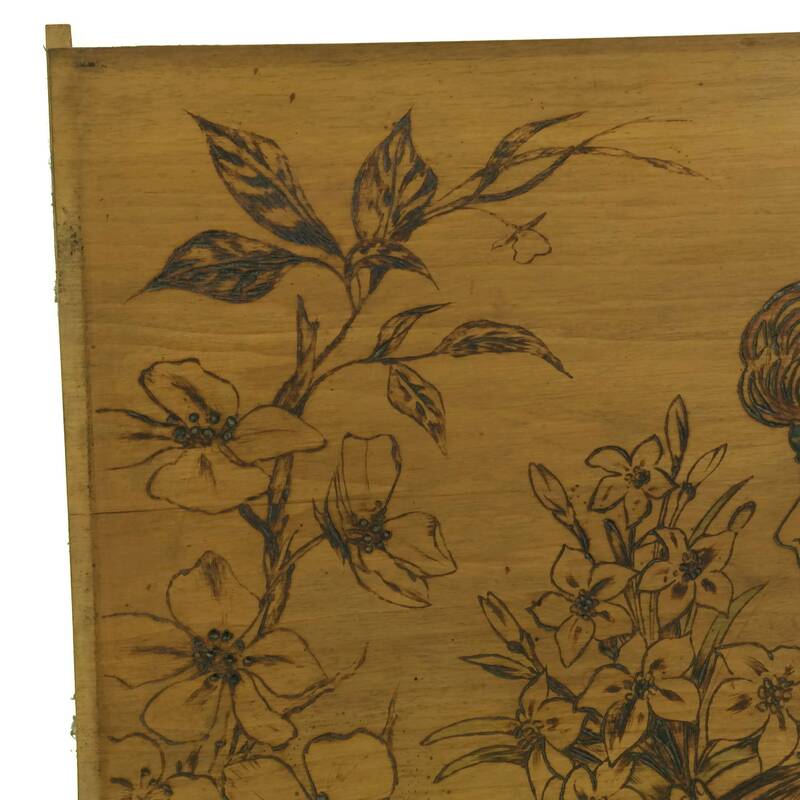 The antique wooden pyrography portrait is in very good condition with light surface marks.